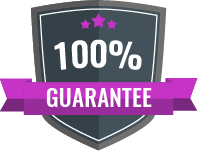 There is a 100% money back guarantee for equipment that does not arrive prior to the event (except for inclement weather &/or carrier error). Inclement weather delays and/or carrier error will result in a “rain-check” for your rental on a future date of your selection. If there is any equipment missing, you will be refunded the amount for the item. If there is still time, the missing item will be shipped expedited at no cost to you.